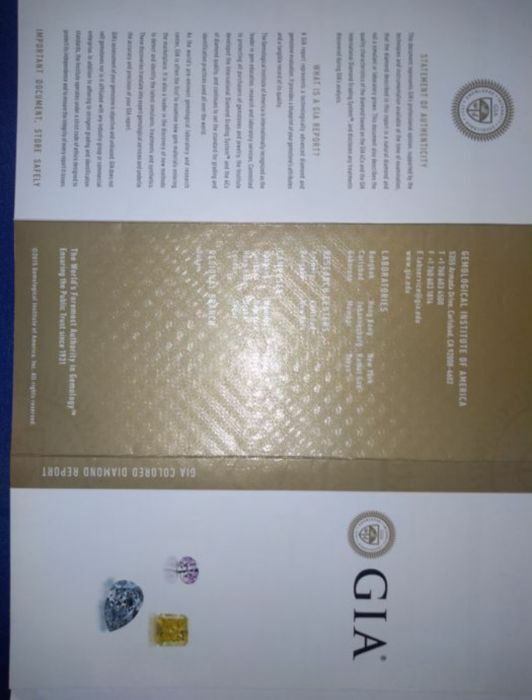 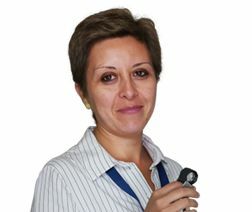 Già Report no. 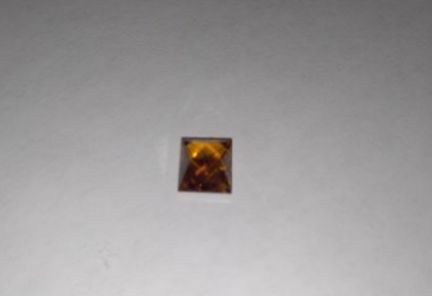 2175539356 April 01,2016. 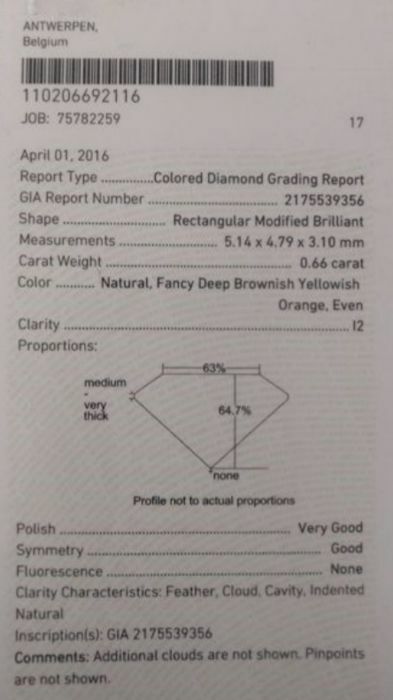 Report type: Grading report. 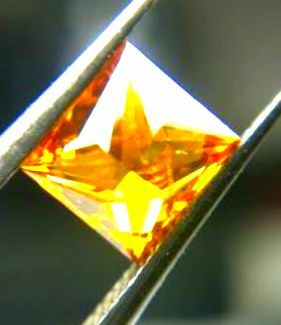 Shape and cutting style: Rectangular Modified brilliant. 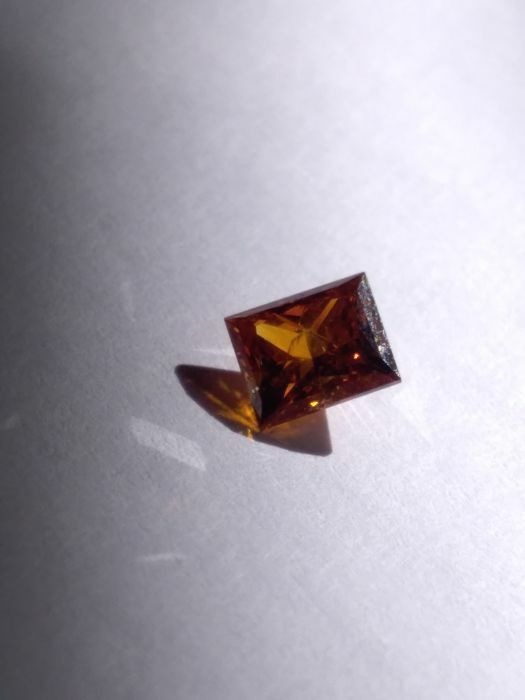 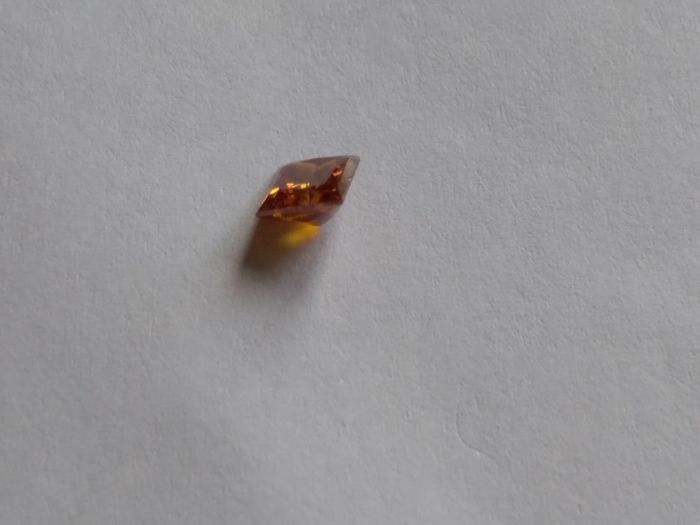 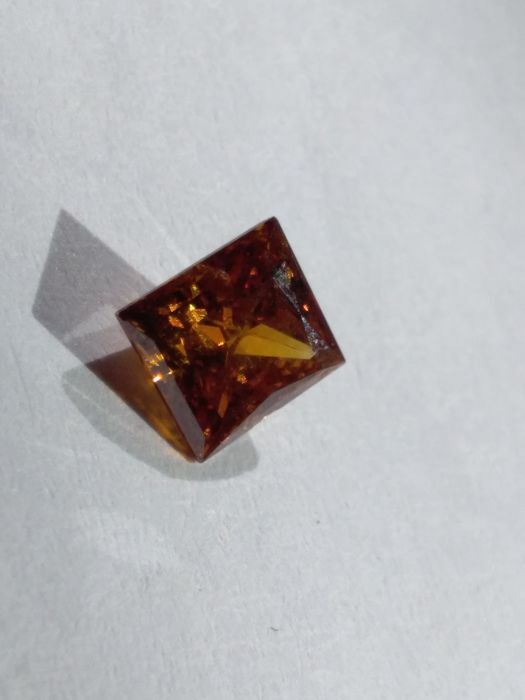 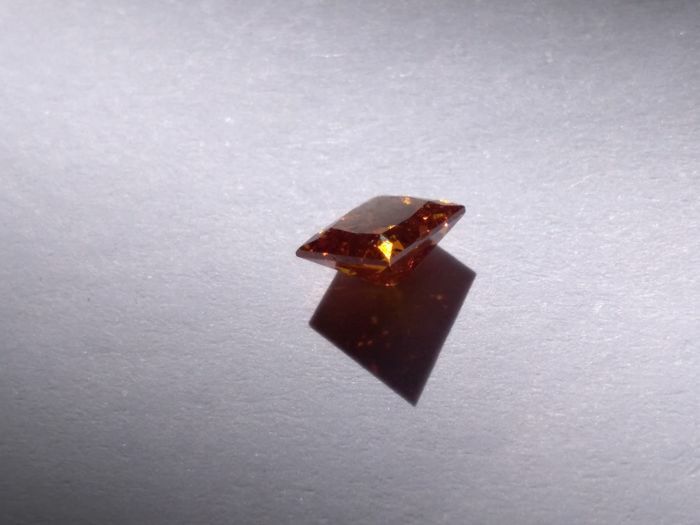 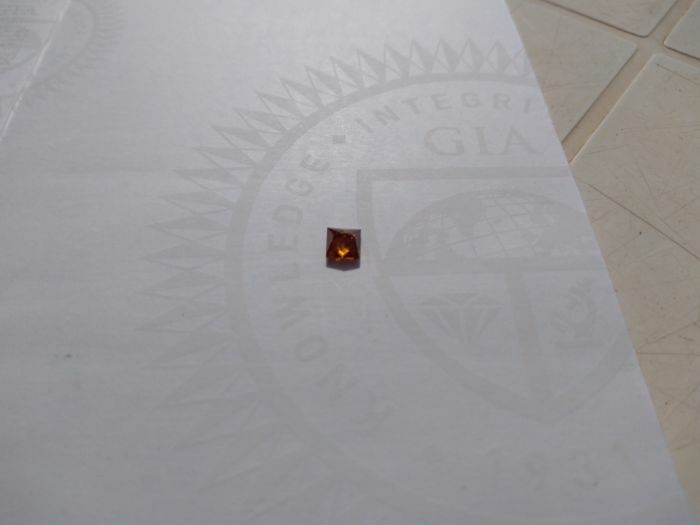 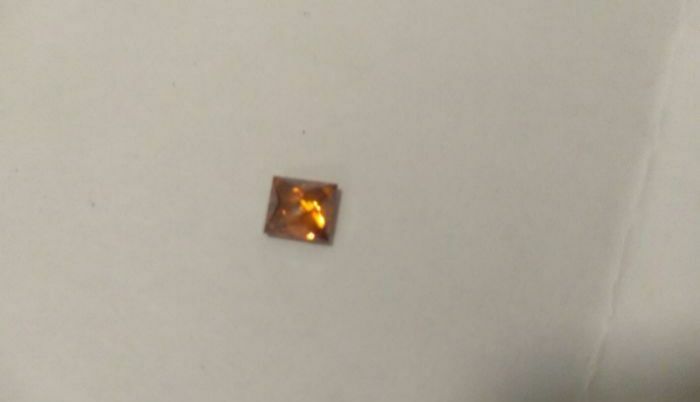 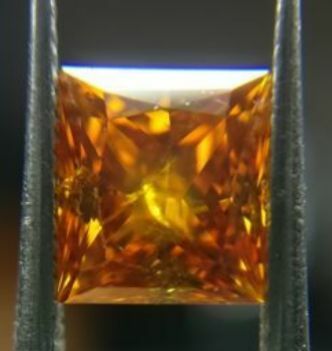 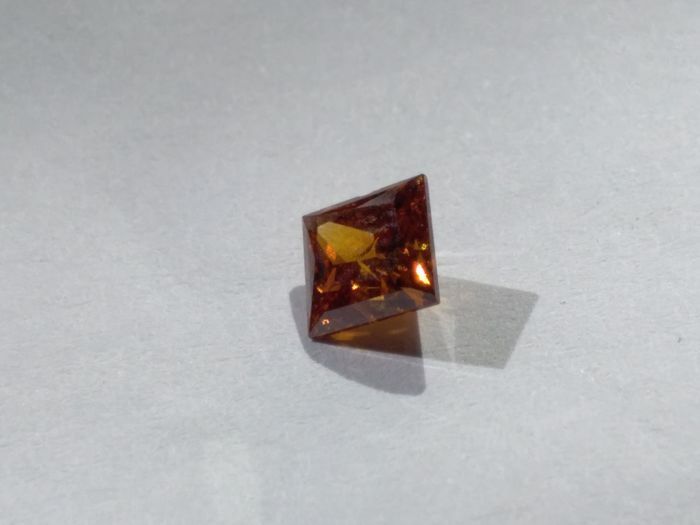 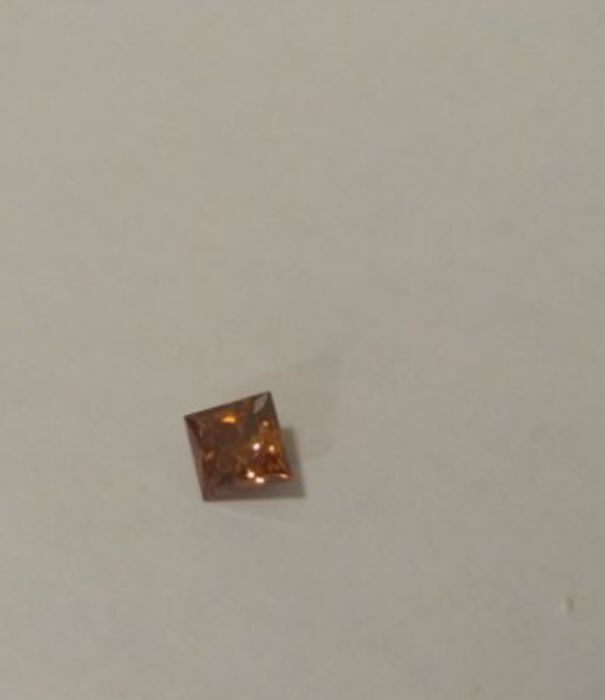 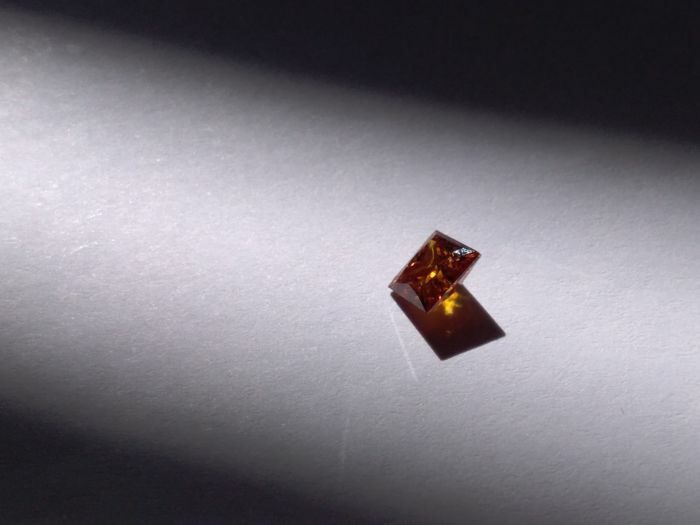 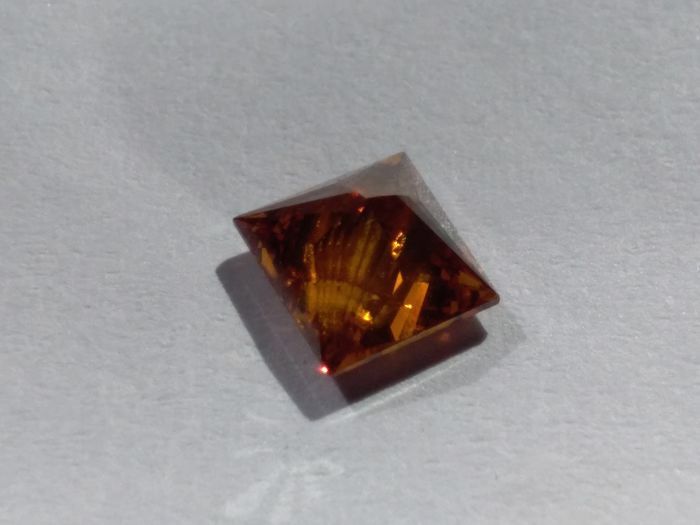 Carat weight : 0.66 CT.
Color grade: Fancy Deep Brownish Yellowish orange. 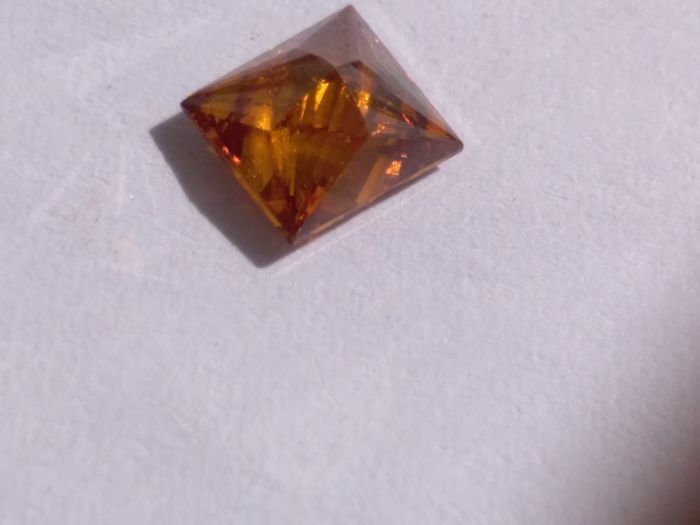 Polish : Very good. 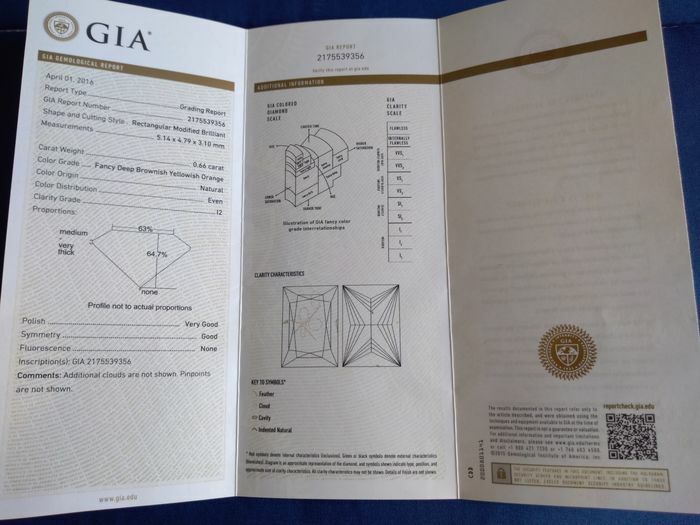 Symmetry : Good. 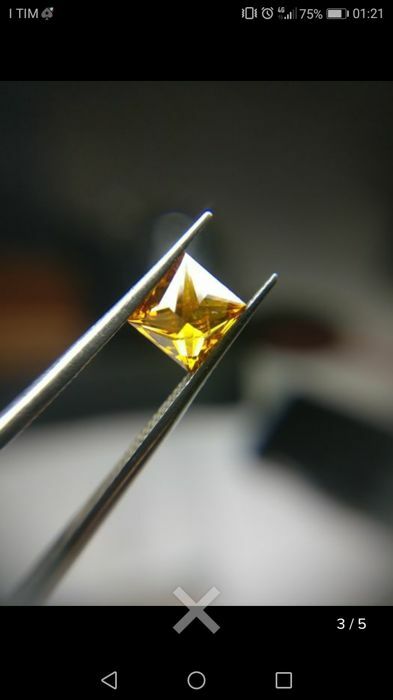 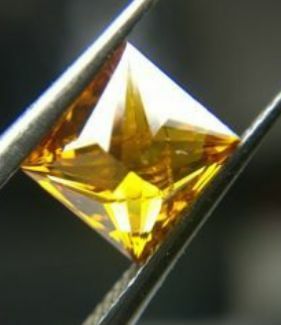 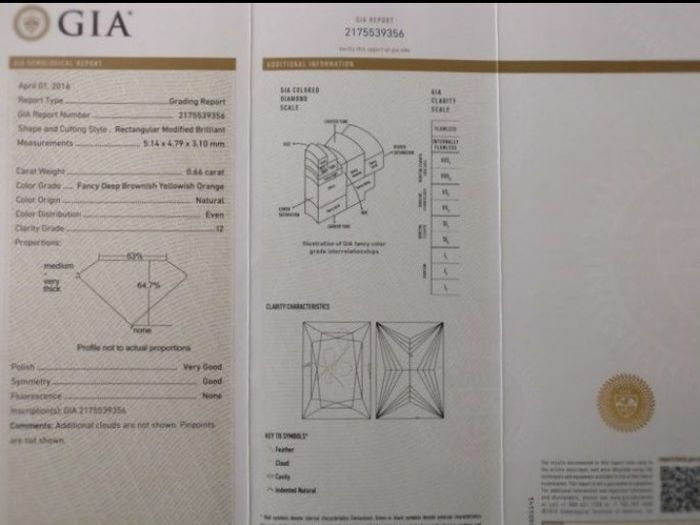 Very unique diamond. 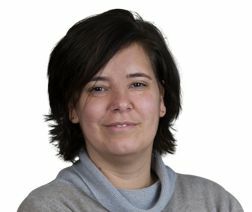 Send with track and trace postal service.